Like New Condition. Fast Shipping from Chicago. GoPro Fusion Action Camera 360 5.2K degree camera with 2x 128gb cards. Great! Sony Handycam HDR-CX360 HD Camcorder - 32GB Internal/16GB Card - ThinkTank Case! GoPro Hero4 With BacPak, 32Gb MicroSD Card, Mount Attachments And USB Cable. 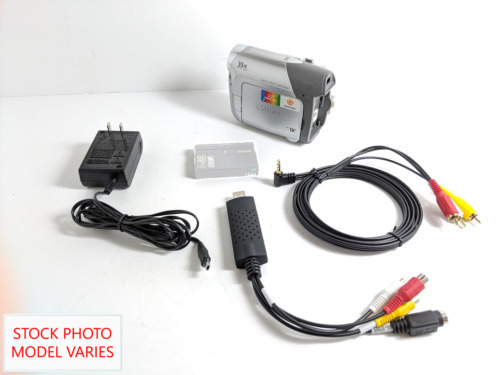 JVC Model GZ-E306BU Camcorder! Includes Carrying Bag & Power Cord! SONY HDR-AS30V Camcorder and Others.